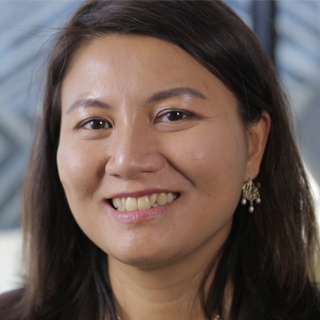 Prior to joining Monash University, Professor Selomulya was a Royal Academy of Engineering Anglo-Australia Fellow at the University of Leeds, and an Australian Postdoctoral Fellow at the ARC Centre of Excellence for Functional Nanomaterials at UNSW. She has a Bachelor of Chemical Engineering (1st class with the University Medal) and a PhD in Chemical Engineering from the University of New South Wales. She was recently awarded an ARC Future Fellowship (2014 - 2018) to conduct research on the manufacturing of high value particles for functional foods and pharmaceutical industries. She is an adjunct Professor of Chemical Engineering at Soochow University in China (2013 – current), and was an Australia-China Young Researcher Fellow (2013). Prof Selomulya is leading the Biotechnology and Food Engineering group with an internationally recognised reputation in drying technology research, and the only facility in Australia for functional particle assembly via microfluidic spray drying. The unique spray dryer can be used to synthesise other types of particles, including thermal sensitive and bioactive particles, microparticles for controlled release and microencapsulation, magnetic and fluorescent composites, and mesoporous microspheres with hierarchal structures and properties superior to those observed on nanomaterials (Prov. Patent AU2013904021). The method is scalable and is potentially a cost effective, energy and material-efficient route to produce high quality powders with better functionality and ease of handling. This technology is an integral part of her ongoing collaborations with Dairy Innovation Australia Ltd, French National Institute for Agricultural Research (INRA), Agrocampus Ouest (France), Dairy Research Institute (US), South Dakota State University, several Chinese universities (Soochow, Xiamen, Fudan, Nanchang) and companies (Kingdomway Group, Guangzhou Ling Nan Intel Enterprise Group Co., Ltd, 3M, P&G, etc). Research interests: Her works with the dairy industry have been highlighted in Chemical Processing, Monash Magazine, and internationally (Science Daily, ABC International, etc). She is the director of the Australia-China Joint Research Centre for Future Dairy Manufacturing (2016 – 2019), a joint strategic initiative funded by the Australian and Chinese governments, and industry partners in both countries, including Bega, Devondale Murray Goulburn, Fonterra, Gardiner Foundation, Food Innovation Centre, COFCO, and Mengniu Dairy (http://acjrc.eng.monash.edu). She is also the director of Graduate Industry Research Partnership (GRIP) for the Food and Dairy industry, to be launched in 2017 (https://www.monash.edu/fdgrip). She is also leading the Monash Advanced Particle Engineering Laboratory (MAPEL) in interdisciplinary research on the design of nanoparticle vaccines and mesoporous materials (including a recent 2016 article in Nature Chemistry). Other examples include designing a more efficient DNA vaccine delivery system for malaria using magnetic nanoparticles, understanding the role of nanoparticle adjuvants for ovarian cancer vaccines, and developing multi-stage vaccines for malaria. She collaborates with researchers from Materials Engineering in designing magnetic nanocomposites for electromagnetic interference shielding and developing new 1st order magnetic nanomaterials for magnetic heating (Prov. Patent AU2013905012), and with The Trustee for Cell Medicine Australia Unit Trust via an ARC Linkage to develop nanoparticle/hydrogel composites for cartilage repair. She is an ARC Future Fellow (2014 – 2018) and an adjunct professor at Soochow University.